Watch the following exclusive online presentation on CYPECAD by RAÚL CARMONA MUÑOZ. In this youtube video tutorial Raul briefly shows how to use CYPECAD to make calculation of piles. CYPECAD is a useful software for AEC communities to accomplish the analysis and design concerning reinforced concrete and steel structures (houses, buildings and civil work projects) based on horizontal and vertical forces. CYPECAD facilitates the users to obtain utmost analysis authenticity as well as the superior drawing design. The software automates the process for finding the geometry of the structure. The user will be able to personalize the design and edit the elements through the on-screen support that includes various help options together error and warning texts. It offers very complete and accurate construction drawings of the structure. 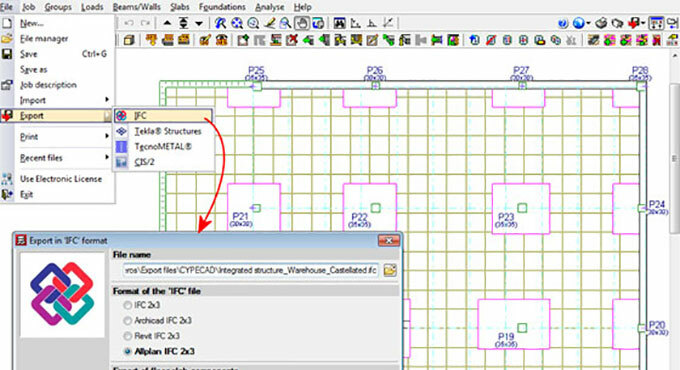 CYPECAD is adhered to the most updated national and international construction codes.